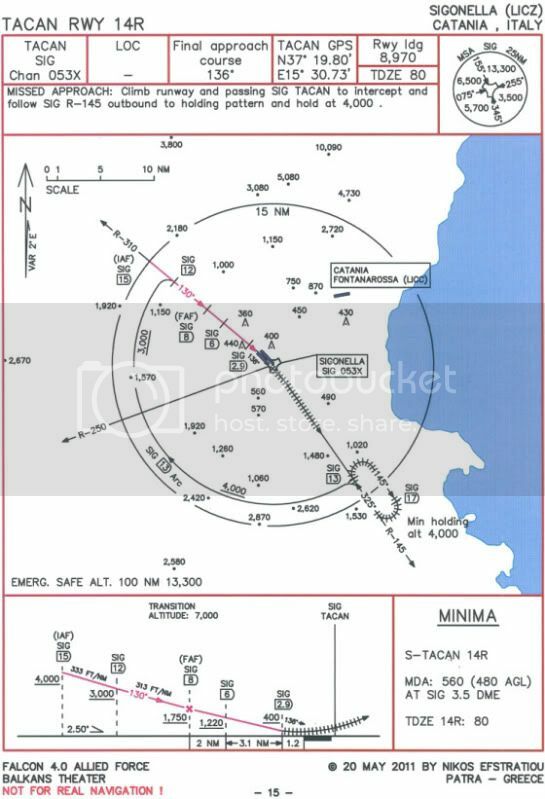 IAP (Instrument Approach Procedure) chart for Sigonella airport at Sicily-Italy of Balkans theater is ready . Package also includes kneemap , TACAN list , IAP General Info Balkans (pdf) and 12 previous IAP charts . Have safe and precise landings at Sigonella airport . Thanks a lot for this too, eystratiou!